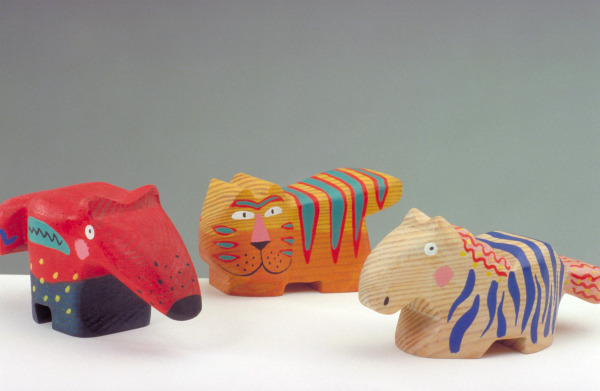 Birch plywood and pine carved into an anteater shape, with a predominantly red and green body and blue, pink, white, and yellow details. Pine and birch plywood stained and painted in non-toxic materials. 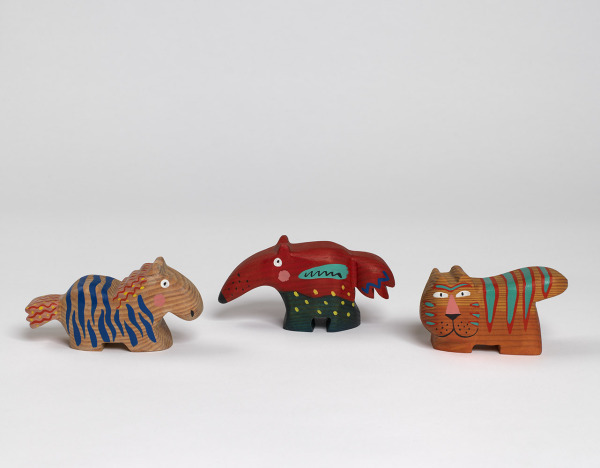 Tiger, Anteater, Zebra, Jim Edmiston, 1988, Crafts Council Collection: W77. Photo: Todd-White Art Photography.